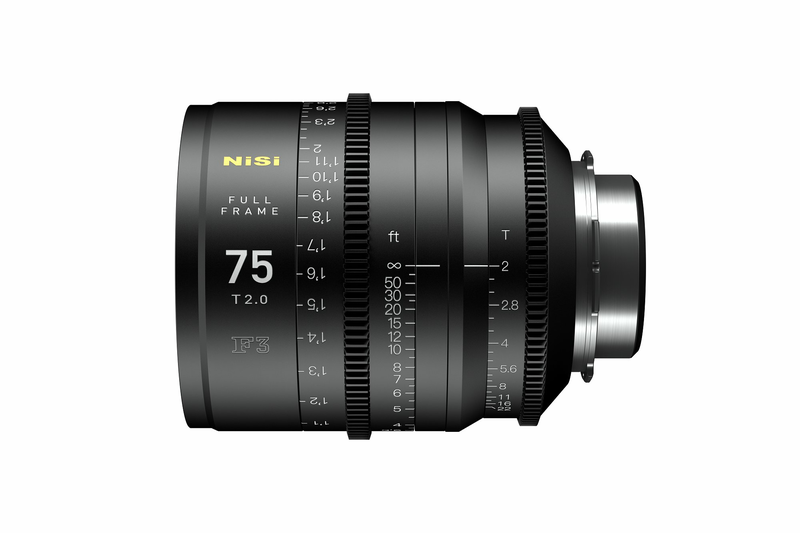 The new NiSi F3 prime lenses covers 46.5mm format sensors. This allows filmmakers to create more possibilities. The F3 lenses offer advanced resolution and perfect dispersion control. Image contrast and flare are also optimised by their retro design elements. ‘Sensed presence’ technology allows filming with a soft and beautiful bokeh. The entire F3 series of lenses have the same physical attributes , allowing simple and time efficient fitting of lens accessories. The NiSi F3 lenses cover full frame format which is compatible with ARRI Alexia LF, Red Monstro VV, Panavision DXL2, SONY Venice, Canon C700FF and other film cameras to come in the future. In mid 2018, NiSi will also add an 18mm prime to the F3 series to allow wide angle film making. The NiSi F3 series has an apochromatic optical design which results in excellent Axial aberration and Transverse aberration performance. It gives a natural and pure color with almost no purple/green fringing both within focus and in bokeh. The NiSi F3 lenses feature an original full frame lens design and share the same industrial design across the whole set, which allowing you simplify your operation while changing lenses. The F3 series more than satisfies the requirements of resolution in the cinema camera market. The NiSi F3 series gives the filmmaker the best of both worlds regarding rigor and individuality. The lenses contain a unique optical coating design which controls dispersion perfectly while retaining rich details. This results in stylized flare and contrast enhancement. The 75mm lens is recommended for optimizing skin details. F3 lenses are designed for maximum user serviceability. They come with PL, Canon EF and Sony E mounts.